Chinese carmaker Chery will begin selling passenger vehicles in Europe within the next few years, but it won’t be doing so under the ‘Chery’ nameplate. Instead, it will introduce a new brand for that purpose, with a compact SUV being the first of model to be introduced under it. The vehicle will be revealed in pre-production form for the first time during the upcoming Frankfurt Motor Show in September, with the company releasing a few teaser images to build some hype. 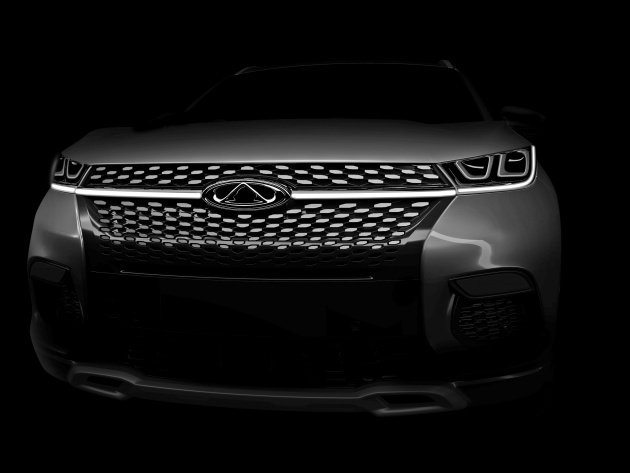 In the images, we see an SUV with a bold face that appears to be inspired by Mercedes-Benz’s diamond grille, although this one blends into the lower apron. There are also LED headlights that are linked by light guides, large corner intakes and a lower bumper guard. Things are a little less dramatic when it viewing the SUV from the side, with the main point of interest being the sculpted rear wheelarches, highlighted by distinct lines. We also get to see some slender taillights and a set of pretty conventional-looking wheels. According to Chery, the new SUV is “designed for young, urban, progressive-minded customers,” which likely involves stuffing as much tech into their vehicles as possible. A glimpse of the SUV’s dashboard appears to reinforce that thinking, as we see multiple connectivity options for the infotainment system, and some pretty modern switchgear. The new brand will sell a range of hybrid electric vehicles, plug-in hybrid electric vehicles and battery electric vehicles, so expect the SUV to be fitted with any one of those powertrains. “In just a few years we intend to start selling a family of vehicles in European markets across multiple segments, with power supplied by a range of electrified powertrains,” explains Anning Chen, CEO of Chery. “All Chery vehicles sold in Europe will feature class-leading connectivity, be fun to drive, offer flexible and spacious interiors and will provide comprehensive personalisation, all of which are aligned with our high standards of product quality and aftersales support,” he added. In preparation for the new brand’s introduction, Chery is evaluating the sales opportunity in key markets, with plans to set up a European sales operation in cooperation with import and distribution partners. New design and R&D facilities will also be established in Europe to accelerate Chery’s plan for global expansion. Ya, they should get a European name. Lynk & Co, sounds good. Chery = poor quality. That’s why the company try to hide under another brand name. People are not stupid. It will be interesting to remove the logo & ask our esteem readers/commentators on their opinion’s next time. Don’t U think it will be interesting PT? !